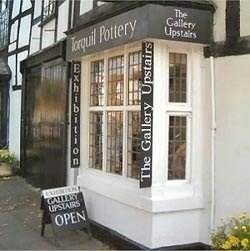 over 30 contemporary artists and makers. 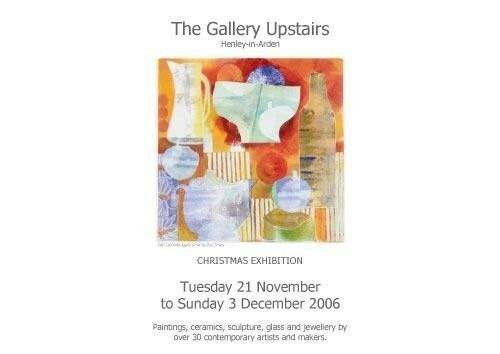 Carey Moon from The Gallery Upstairs is holding a painting and drawing day in Warwick on Saturday 9th December. Next week's edition of Henley NEWS On-line will include a full report on the Annual General Meeting of the Henley-in-Arden Court Leet. 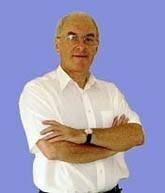 Douglas Bridgewater afer a very successful year as High Bailiff will be handing over Ray Holding. The election this year will have much greater significance as there are more candidates than offices. We shall also be reporting on the Rotary Club of Henely-in-Arden annual awards for Outstanding Service to the Community. At the Joint Parish Council Meeting that took place on Monday 6th November 2006, the Members discussed 9 planning proposals received, 12 items of correspondence and other matters for consideration, as well its normal procedural business. Charles Barlow of the Warwickshire Rural Community Council addressed the meeting following the completion of a survey earlier in the year on the Joint Parishes’ housing needs, the survey having been conducted to establish the needs of local people. 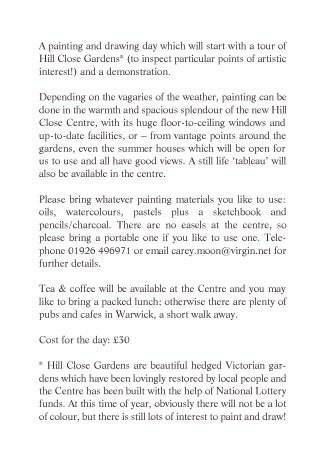 It was carried out in partnership with Warwickshire Rural housing Association and Warwickshire Rural Community Council. Mr Barlow said that the survey went smoothly, but that the context had now changed given that Stratford District Council had imposed a moratorium on new development. 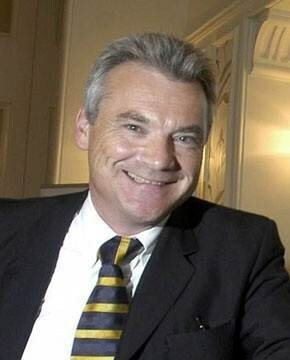 Mr Barlow commented that there had been a 21% response to the survey, which was within normal expectations. The profile of Henley-in-Arden was fairly typical of other Warwickshire towns and villages in the area, tending towards an older population, and 80% of the respondents to the survey were owner-occupiers. The majority felt that Henley-in-Arden had a good reputation and that the community was well balanced, but there was concern expressed over crime and anti-social behaviour. Asked whether they would support a small development of affordable homes for local people within the parish, 64% of respondents were positive about such a scheme with 24% against, although some reservations were expressed by some people, including size. The survey identified 27 specific local housing needs (including shared ownership and rented accommodation), which Mr Barlow commented would extrapolate to around 80 requirements after standard discounting factors are taken into account. Whilst the remit of the survey did not include local people’s concern at the closure of the cattle market, it was pointed out by Mr Barlow that such a site would go a long way to meeting local housing needs. The site would be exempt from Stratford District Council’s moratorium provided that it was devoted entirely to affordable housing. He also urged Members to endorse the report and to publish it, so that potential developers of affordable housing could use the findings to take account of the views of the whole community. A majority of members voting endorsed the report, and to make it available in the public domain. Members also discussed an e-mail from a former resident and frequent visitor to the town who wrote of her concern that the cattle market could close, with the loss of tradition and sense of community. Members agreed to respond emphasising that during the last consultation undertaken by Stratford District Council of the Local Plan Review, the Parish council had supported the retention of the market throughout the process . Nevertheless, Members agreed that they would be proactive in attempting to maintain Henley-in-Arden as a market town in line with its charter and tradition. The next council meeting is scheduled for Monday 20th November 2006. Meetings take place in the Baptist Church Hall, High Street, Henley-in-Arden from 7.15pm and, as with all meetings of the Council, members of the public are welcome to attend. Small community of seven properties in enclosed private gardens. A first floor bed/sitting flat for a single occupant is immediately available. Recently modernised with new shower room and kitchen. The applicant ideally to be of retirement age with restricted financial circumstances and to have connections with Henley in Arden, Ullenhall or Wootton Wawen Parishes for five years. This charity requires its residents to make a contribution to the upkeep of the property in the order of £100.00 per month. Please apply in writing to:- The Clerk to the Trustees c/o Morton Dell, Henley Road, Ullenhall B95 5NN or Tel 01564 794475 for further details. It’s been a busy week for Henley in Arden’s Mat Jackson – last Thursday he excelled in a test in the SEAT Sport UK team’s British Touring Car Championship title-winning Leon while on Sunday switched from race suit to dinner jacket to appear on stage at the BTCC’s prestigious annual awards ceremony. Mat’s test in the Leon, the car that in the hands of such greats as Jason Plato and James Thompson won SEAT the BTCC’s coveted Manufacturers’ title, took place at the Rockingham circuit in Northamptonshire. It was part of his prize for winning SEAT’s Cupra Championship that has this year supported the BTCC. 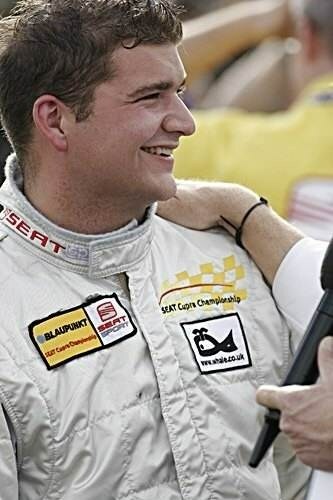 Mat, aged 25, clinched the title last month at Silverstone in front of 33,000 spectators and he has made no secret that the BTCC is where he wants to be in 2007. If his performance in the Leon is anything to go by, he will have plenty of teams interested in his services. Although the test, that included three other Cupra drivers, was not timed, Mat clearly impressed the SEAT hierarchy. Sunday evening then saw Mat don his black tie and suit at the BTCC’s annual awards ceremony, held at Birmingham’s Hilton Metropole Hotel where in front of 600 guests, including the BTCC’s top team managers, he received his SEAT Champion’s other big prize of £100,000 from SEAT UK. He praised sponsor Whale Tankers and his family-run Jacksons Motorsport team whose car he drove to victory in 11 of this year’s 18 races to seal the title. Welcome to the second edition of the High Performance newsletter, the place to read about Performing Arts at Henley High.We would like to welcome all our new Year 7’s and look forward to sharing the many new talents they bring to our Performing Arts Dept. We have now celebrated our first birthday as a Performing Arts College and were pleased to hear people’s views on what effects the specialization, in its first year, has had on the school. Romance was in the Air at Henley for World War 2 Land Girls. Margaret Simmonds,(nee Brown, Dot Ecclestone, Dorothea Abbott. At 17, life was one big adventure for land girls, away from home for the first time, despite the privations of war. Some 20 at a time were housed at Oldberrow House opposite Oldberrow Church. Jane O'Dell, who lives there, helped by some family and friends, gave a reunion lunch for 7 of them on Saturday last 4th November. Many came in 1942 in answer to a national appeal but Dot Ecclstone came in '43 at 17 years. Dot and her friend Elsie Ward met a couple of Royal Engineers at a party at Moreton Morrell and, inviting them to Oldberrow House, they met them on the bridge at Henley, opposite The Golden Cross, to show them the way. Romance didn't blossom then, for she and Elsie were soon off again to Birmingham to meet some Americans. Unfortunately they missed the last train back to Henley so 'phoned the Warden at Oldberrow about their predicament. They were told to go to the nearest police station where they would be fixed up with a B&B for the night and to return the next day. They had broken the house rules so they were subsequently moved to another hostel. No G.I. brides there! I wonder what happened to Elsie Ward nee Cowley. Dot would like to thank the ladies of Henley for providing jam sandwiches and tea for the Land Girls behind the Methodist Church. Does anyone have any recollections? At almost 17years Pamela Wale (nee Manton) from Small Heath was not deemed strong enough for outdoor work so she worked as a domestic. In 6 months, after being fed nourishing food, she was soon out hedging and ditching with a scythe and spade. She met her husband Harold in a cafe in Henley as a result of their pen-friendship while he was stationed at Lichfield Barracks. He sought her out in Small Heath and her mum redirected him to Henley. Margaret Simmonds (nee Brown) came in November '42 and, after only 2 months training she was soon chopping sugar beet or hedging and ditching. Dr. Whitworth in her hometown in Yorkshire had said he wouldn't pass her fit for the Land Army as she had a heart murmur. She was so insistent on her fitness that he told her to touch her toes 8 times, took her pulse and then said "Oh well if you say so." She got her certificate of fitness. She and a friend were given a job at Hillers thinning out fruit tree saplings. They subsequently made their way on bikes to Evesham where Americans were stationed. By way of conversation, one of them said, "I bet you girls work hard. What are you doing right now?" "Oh just chopping down trees." There's no doubt the Americans were over awed by their, apparent, physical strength. Betty Neil (nee Rose) from Acocks Green was sent to Rugby in 1942 at 17 years despite her parents request that she go to Solihull to be near home. Later she discovered there was another Betty Rose who was sent to Solihull. Jessie Hall (nee Crump) came in 1942 aged 17 and spent month training at Oldberrow House. Farmers applied to the Warwickshire Agriculture Committee (W.A.G.) if they were short handed because their workers had been called up to the Armed Forces. Jessie was set to do hedging and ditching in the rain and mud, her wellingtons squelching in the sucking mud and her hands becoming blistered. She visited a fortune teller at Stratford Fair and, crossing her palm with a hard earned silver sixpence, she was told,” You do work hard my dear." as the fortune teller took her hand. Mystic Meg must have been busy elsewhere that day! The doctor in Henley didn't think young ladies should be working in all weathers so would sign them off as unfit if they didn't want to be landgirls; the problem was that they had to go into the armed forces or the munitions factories if they didn't serve in The Land Army. Does anyone know if that doctor was Dr. Agar or Dr. Farr? Dorothea Abbott wasn't at Oldberrow house but at Pillerton Manor, another hostel in Pillerton Hersey, in 1942. The girls were issued with heavy, black bikes for transport as most hostels were very isolated and so were the farms where the girls worked. On one occasion Dorothea and her friend had been threshing all day on Mr Faulkner's farm and he was so please with their affronts he wanted to give them a tip; the problem was that he didn't have any money on him so he wrote an I.O.U. for 5 shillings on the back of a cigarette packet with instructions to take it to the village post office. Sure enough the post office honoured their I.O.U. and were given 2 shiny half crowns (5 shillings) to share. Dorothy Meadows was there in 1942 training for tractor work. She also worked with shire horses as they didn't require precious petrol and were more flexible, for there was severe flooding in Stratford that year. Later she trained to be an army truck driver, taking her test after only 2 weeks. Jane O'Dell of Oldberrow House hopes to have another reunion early next summer so if you know of anyone who was in the Women's Land Army contact me, Pam Kearsley, on 01564 794392. If you have any answers to my queries or you have any further information please get in touch. We know that Edna Etherington of Station Road Henley was a land girl but she died recently. If anyone has anything to add I'd be delighted to hear from you. If any information here is incorrect do let me know and we can correct it. Johnsons Coaches annual holiday show, held recently in Henley in Arden was once again hailed as a great success. Well over 1,000 people packed the main hall at Henley in Arden High School to book holidays, seek advice or to meet up with both staff and old friends. The school was a hive of activity with trade stands, representing hotels, tourist boards and attractions, video and film shows, community corner with local charities and regular raffles. John Johnson, Director of Johnsons Coach and Bus said " Weeks of planning go into the event which is the highlight of our calendar. It is extremely satisfying when customers, old and new, turn up in such numbers to support us. Initial figures indicate that holiday bookings on the day are up some 30%, which is tremendous. The show is now in its 18th year and customers come from all over the region to visit us. We know we offer value, choice and above all quality and it this combination that brings our customers back to us time and time again. " Last week we pointed out that training is desirable in order to motivate and develop your employees. It is also an important tool in solving business problems, and any training should always relate to the needs of the business. We looked at the traditional method of sending people on courses which we said can be very effective providing things are properly managed and the employee is briefed and debriefed. This is true of all training whatever methods are used. Such methods are often referred to as “on the job” training as they can be carried out at the workplace. They are usually low cost for this reason but rely on an experienced employee being capable of showing the learner the proper way to do things. The learner can easily pick up the more experienced employee’s bad habits and if that happens these methods might work out more expensive than you think! Nowadays technology can be used to enhance the training. You may have come across the term ”E-Learning”. This simply means “electronic learning” and can take several forms. It began to gain acceptance about 20 years ago and was called “computer-based training” then; when moving video became easy to show on a computer screen it began to be called “multimedia” training. It is based around what can be shown on a computer screen but may also use workbooks and practical kits. You can also have “blended learning” which is a combination of traditional and technology based methods. Note the fashionable use of the word “learning” rather than “training”. The idea is that employees can study anywhere, at any time, to suit themselves and their employer. Some companies encourage their employees to study at home in their own time though I often wonder whether anyone actually learns anything this way. The more enlightened companies build specialist learning centres where employees can go during their working day for uninterrupted study periods, usually with a facilitator on hand to help them. In my experience a controlled learning environment, such as a well designed learning centre, is vital for effective learning to take place in a business situation. Of course the company needs to invest in specially written training packages in order that employees can learn effectively this way. There are a number of suppliers who will be delighted to sell you what you need – at a price. Beware of buying more than you need or of taking out a long term licence for materials you won’t use. As you can see, selection of the best training to solve your business problem can be a minefield, and it can be expensive to get it wrong. We’ll look at this next week. The letter has finally come through to the local MP. The local MP has forwarded it to my mother. Lloyds TSB are definitely closing their Barnt Green branch and anyone who objects can get lost. The bank is a monolithic organisation with no time at all for little people like customers, especially not elderly ones. It is only interested in making profits. Yet its profits are not what they were. In the year 2000, Lloyds TSB was "Britain’s most profitable bank". Not any more. Last year Lloyds TSB made a feeble £3.8 billion profit. That puts it firmly in the second division way behind HSBC, Barclays or even the Royal Bank of Scotland. For a business founded and grown out of Birmingham, it’s particularly bizarre to discover the decision to close Lloyds TSB’s Barnt Green branch was made by pen-pushers in Bristol who have doubtless never even visited the village. It’s not as if the branch could have cost the company much to run. When my mother and her friends first campaigned against its closure six years ago, the bank agreed to keep the branch open, but with severely restricted hours. Strangely, it seems the bank managers or customer relations executives or whatever they call themselves these days, were under the impression that if they reduced the service it would somehow increase the usage of the branch and, perhaps, its profitability. That, at least, was one of the many feeble excuses they have offered since announcing the branch’s closure in a leaflet to customers. Apparently they were unable to write to people because they have no record of who actually banks at Barnt Green. The bank pathetically claims there has been no increase in usage in the six years since it gave the branch a reprieve and therefore it must go. One of the most curious aspects of the sorry saga is the complete inability of Lloyds TSB to offer any sound, logical, clear financial appraisal of the situation which could justify the decision. This is because these days every branch of every bank must be considered an expense, a loss-leader, perhaps, to entice customers through its portals and onto the internet. The world wide web is, indeed, partly to blame. Along with cash-point machines and call centres in the Asian sub-continent. These innovations of the past decade or so have persuaded bankers of the benefits to the bottom lime of moving away from little things like customer service and giving people what they want. Why bother with boring branches staffed by two friendly young women when you can force customers onto the internet to do everything for themselves, assuming the bank’s web-site is working properly? Why consider the convenience of the customer when it’s cheaper, easier and more profitable for you as a bank to employ Indian graduates at a tenth of what you would pay a school-leaver in Britain? Who cares if it means the customer has to press a dozen buttons on the ‘phone? Who cares if the customer waits for hours on end? Who cares if the customer can’t understand half of what the call centre operative is saying or that the bank’s staff have never heard of Birmingham, let alone Barnt Green? And anyway, if all a customer wants to do is pay money into the bank or take it out, what’s wrong with a hole in the wall (assuming the bank’s few remaining staff have remembered to fill it with cash before going home for the weekend)? Lloyds TSB has been asked for explanations of its decision to close the branch used by my mother and many of her friends. The closure will cause them great inconvenience, not that such a thought would even enter the bank’s mind. Let them go to Rubery, is the response, even though it’s a car-journey away and impossible to reach by public transport in less than an hour. The closure will be worse for the traders in Barnt Green, but again we must presume the banks want us all to live in a cashless society and can’t be doing with trivia like counting out 5p coins any more. It would, after all, be much more convenient and profitable for banks to do without coinage completely. If we all bought and sold on plastic, every transaction could be recorded electronically – and the bank could charge both the customer and the vendor a fee. It’s pure genius. Doubtless it’s part of the reason why Lloyds TSB is running down its alleged network of branches even faster than most of its equally dismissive supposed rivals. The banks, after all, operate a cartel despite every pretence of competition. If one bank puts up interest rates, they all do. If one of them decides to start imposing bank charges again, they all will. If one goes around the country slashing its branches and axing its staff – especially the competent ones who have actually worked there more than a fortnight and know what they’re talking about – they all do. We, the customers, are powerless. The service gets worse and the profits increase. It’s obvious really – slash and burn is not a particularly attractive policy for banks to embrace. But it works nicely for their shareholders and so who are we, the customers, to complain. Don’t we have pensions invested in bank shares? Don’t we have a few bank shares ourselves? Of course we do. The banks are working for us. Or for our institutional pension providers, at any rate. And what with fund shortfalls and higher taxes, it’s right the banks should put profits first. We all benefit in the end. Except that in the case of Lloyds TSB, perhaps their fall from power in the last few years is a reflection on their relative failure to keep their customers satisfied compared with their rivals. Is it possible that, despite the cosy stitch-ups, there is still a little bit of competition between the banks? And is it possible Lloyds TSB are actually losing? Perhaps they are failing to provide as good a service for their customers and therefore failing to deliver decent profits for their shareholders. Who knows, maybe these two things are connected. Maybe unhappy customers mean lower profits. The short-term view is cut costs, save money, make the profits look better – even though shutting a branch like Barnt Green can’t possibly save the bank more than a few thousand pounds a year. This myopic, not to say misanthropic, approach, does not pay dividends. In the longer term, it means customers are forced against their will to go elsewhere. It means they despise Lloyds TSB and persuade their friends and families to go elsewhere too. In the long run it means Lloyds TSB, once Britain’s most profitable bank, slips to fifth and continues to be outdone by its rivals. Dog Owners responsible or not ? I had cause to walk to the high street and back the other day, a pastime enjoyed by most of us in the town. Sun shining, crisp but not too cold, in fact a very nice autumnal day. But on route, I encountered one of the most vile things other people can leave. Dog Poo. Dog owners (in my opinion) fit into two catagories. Responsible human beings who have respect for others in this (or any other) town. They carry 1 or 2 plastic bags to tidy up after Rex or Fido has done what all creatures do. This group probably counts for 99% of all dog owners. Probably higher in the more affluent areas. I even met a chap once who was so distraught that he hadn’t got a bag left to tidy up after his dog, as it happened I had one in the boot of the car. Irresponsible (aka lazy, selfish, evil) human beings who have no respect for others who walk the same streets. These people let their dog do what it wants, where ever it wants to, and then just leave it. Anyone with children has used the words “watch out for that poo” to their children, but not always successfully. Even adults can tread in it from time to time, usually on an evening out when a few liquid refreshments have been shared amongst friends. Then we have to deal with the clean up, where in the house or car has the offending shoe been? And what do we clean it with? Have you noticed even after vigorous scrubbing with many detergents, the smell lingers? So what do I want……. If you have a dog please carry a plastic bag. Then you can join the 99% of responsible dog owners. If you still want to leave poo where your dog does it, let them go in your own garden not the street. It’s disgusting! Failing that maybe the police should arrest the offenders and rub their noses in it, that’s the owners not the dog. If you have any information or have witnessed any incidents, contact Alcester Police Station on 01789 762207. 1ST RACE 1930HRS FOLLOWING BETS AND COURSE COMMENTARY. PROCEEDS TO ROTARY CLUB CHARITIES. COME ALONG WITH YOUR FRIENDS AND FAMILY AND ENJOY AN EVENING OF LIGHT ENTERTAINMENT AND GOOD FUN. AND £1007:47 WAS RAISED FOR CHARITIES. Solihull Choral Society opens its 2006/7 season with three great musical compositions. Although popular in his lifetime outside his native Italy, Vivaldi’s music was neglected for many years until its revival in the 1960s. The Gloria is one of Vivaldi’s best-known works, its melodious content being characteristic of the great man’s work. Stabat Mater is a Latin Hymn written circa 1300. This work refers to the human aspect of the mother’s sorrow rather than the torment of the Savour himself. It is believed to be Pergolesi’s final work, breaking new ground in the field of sacred music. He died at 26 years old. Bach wrote two motets of which Lobet Den Herrn is one. It draws on the first two verses of Psalm 117. A six minute gem! The following diary dates have been notified to Diane Bayley at 6 St John's Close. All diary dates for the next Henley Diary Dates should be sent to Diane at: stjohnnews@btinternet.com. Articles and news stories for Henley NEWS on-line should be sent to the editor@henleynews.co.uk at any time. Tuesday 14th November, 7.30 p.m. Memorial Hall. Open Evening “Candlelight, Cheshire and Christmas” by Ian Lloyd. We will welcome visitors to join us for our meeting on Tuesday 21st November from 7.45 p.m. in the Baptist Church Hall. John and Penny Stott have kindly stepped in to give us a talk on either Peru or India. Thursday, 16th November, 8.00 p.m. in the Baptist Church Hall. 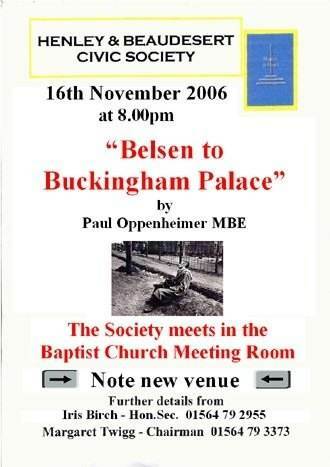 “Belsen to Buckingham Palace” by Paul Oppenheimer. Saturday 25 November, 2.00pm in the Church Hall. All the usual goodies – home-made cakes, produce, books, bric a brac, teas etc. with Father Christmas at 2.30pm! Do come along and support this fundraising event. If you can help run a stall or provide goods to sell, please contact Daphne Jones on 01926 843515. Tuesday 28th November, 7.30 for 8.00 p.m. in Ullenhall Village Hall. Our speaker is Hazel Kaye who will be talking about “Scented Plants”. Do you like a walk? Volunteers are needed to augment the team or act as reserves who deliver the Joint Parish Council newsletter once a quarter (next issue early January). Please contact Nora Hilliar on 794715 for more information. Events for future Henley Diary Dates should be sent to Diane Bayley at 6 St John's Close marked ‘Henley Diary’ email: stjohnnews@btinternet.com . 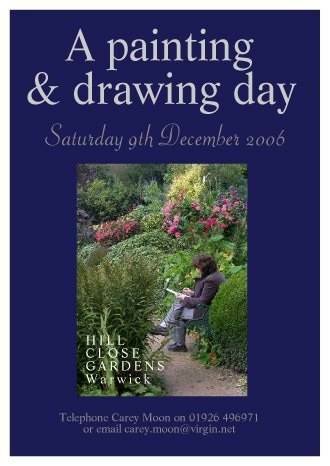 Please tell all your friends about The Henley Diary. © Copyright Warwickshire Enterprises Ltd. Licensed for reuse under this Creative Commons Licence.